Renowned Italian painter, sculptor and architect, whose genius was such a power in beautifying the churches of Rome and Florence. Was the last and in some respects the greatest of the Italian sculptors; while his large paintings, particularly "The Last Judgment" in the Sistine Chapel are no less famous. 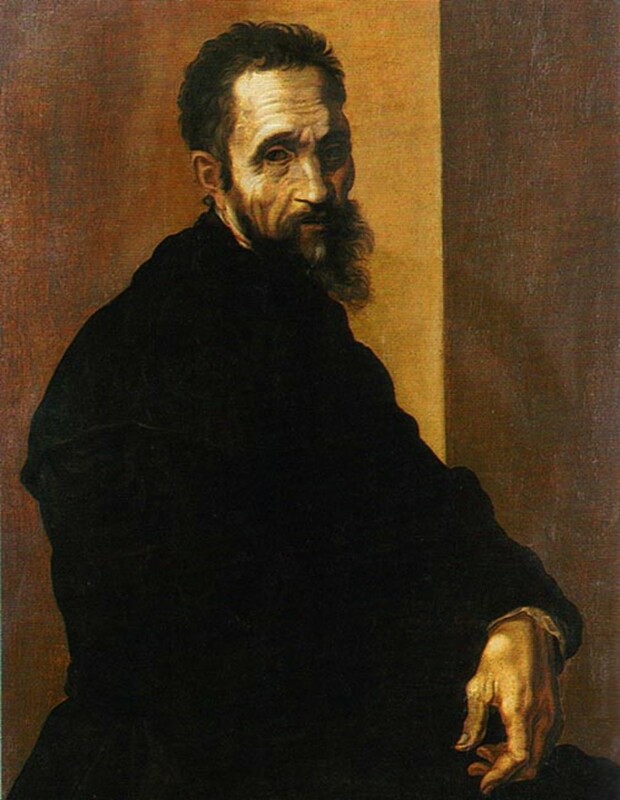 As sculptor, painter and architect, Michelangelo dominated the High Renaissance in Italy. 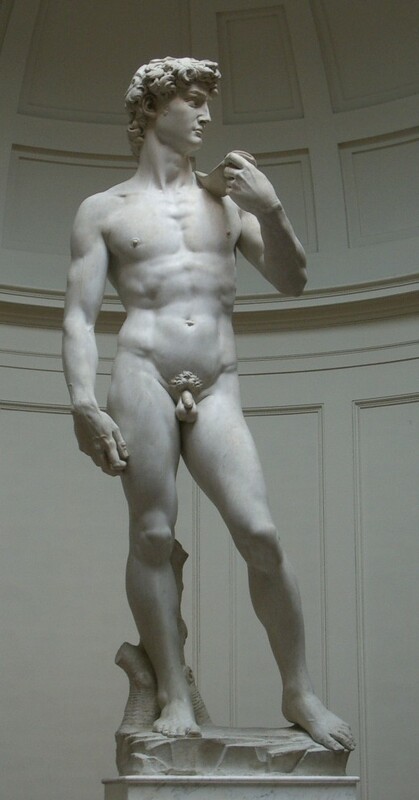 His gigantic white-marble figure of 'David' symbolises the power and grace of Renaissance art. Find out more about Michelangelo's David. Italian sculptor, painter, architect and poet who dominated the last phase of the Renaissance. 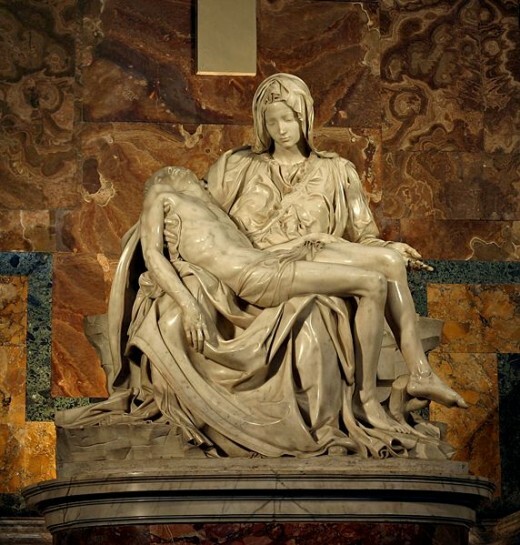 One of his first major works was the 'Pieta' (circa 1497-1500) in San Pietro, Rome - a beautiful carving of the dead Christ lying across the lap of a Virgin. Another statue, the gigantic 'David' (1501-1504) carved in Florence, depicts a flawless human figure vibrant with muscular power. Michelangelo was obsessed with the mass and power of the human body, he filled his painting with yearning, striving, active figrues. 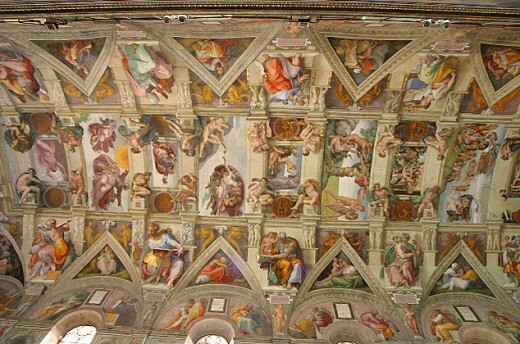 Michelangelo's crowning achievement in painting, and one of the greatest masterpieces in the history of art, was an epic fresco account of biblical history on the ceiling and walls of the Sistine Chapel in Rome (1508-1512) which portrays a profusion of biblical scenes and characters. The immesity and intricacy of the design is almost as awesome as its masterly execution. 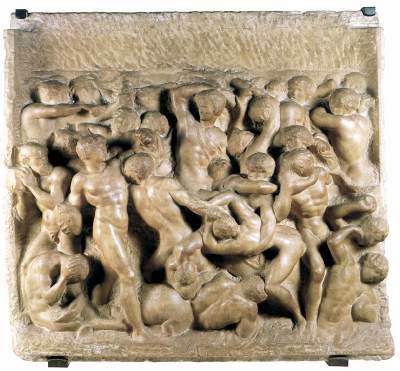 The work, which ruined Michelangelo's health, necessitated his lying on his back in a cramped position daily for three years. His later paintings, which include 'The Last Judgement' reflect a more sombre outlook on life. His sonnets, which show the same qualities of disciplined energy, intellectual force and uncompromising sincerity which governed all his activities, give him an undoubted ranking in the field of literature. 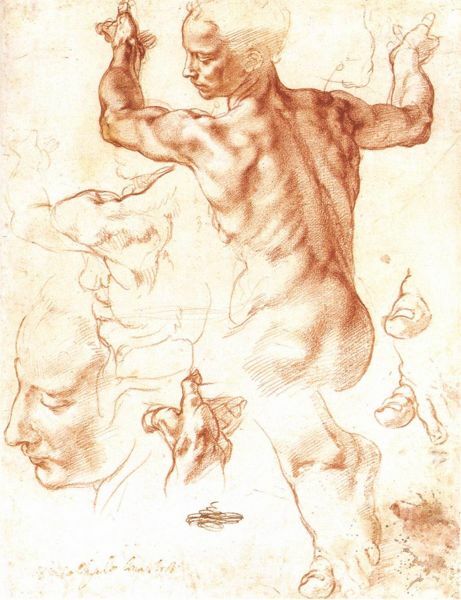 Difficulties with his partons led to many of Michelangelo's designs remaining unexecuted or incomplete. But their originality and his bold, sculptural style profoundly influenced later generations of architects, notably of the Baroque era. 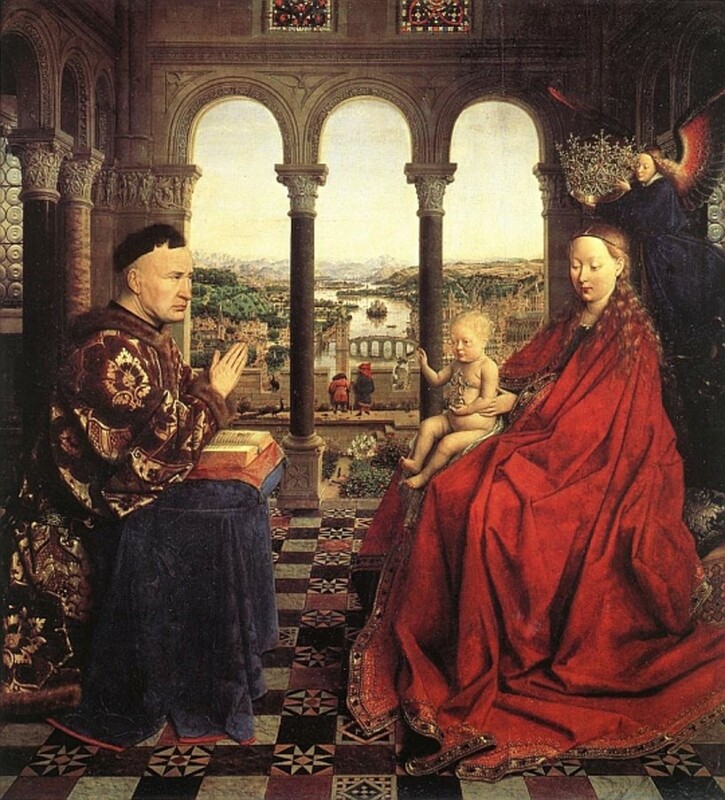 The intellectual movement in European cultural history that is traditionally seen as ending the Middle Ages and beginning modern times is known as the Renaissance. 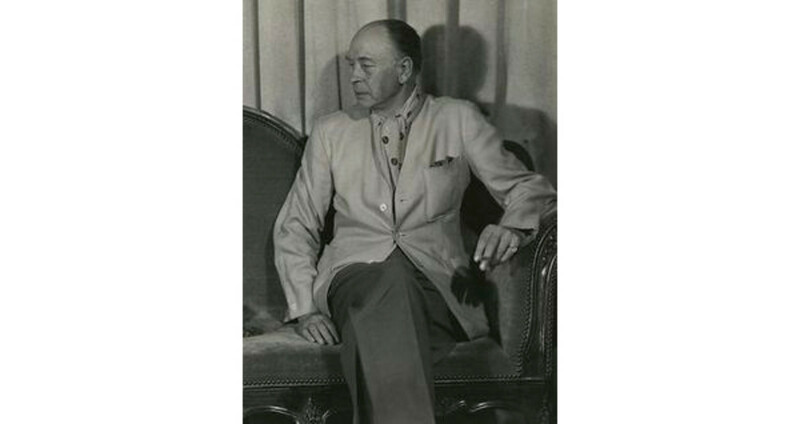 This period witnessed the greatest upward surge of the human spirit known to history. 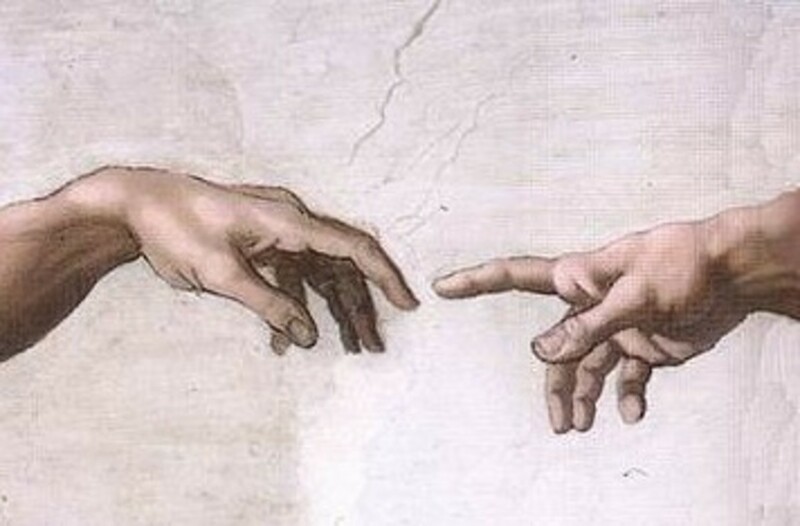 God "created man in His own image" and the Renaissance artists portrayed him so. 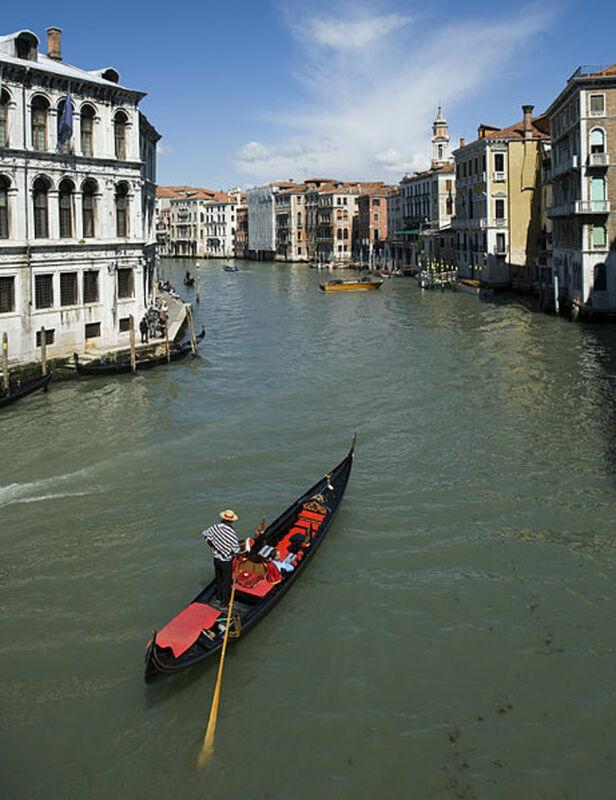 The Renaissance started in Italy in the 14th century and flourished in Western Europe until about the 17th century. The aim of Renaissance education was to produce produce the 'complete human being', conservant in the humanities, mathematics and science, the arts and crafts, and athletics and sports; to enlarge the bounds of learning and geographical knowledge; to encourage the growth of skepticism and free thought, and the study and imitation of Greek and Latin literature and art. 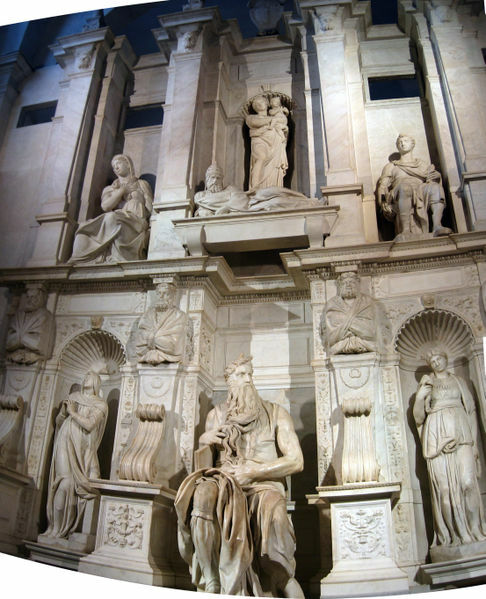 The revival of interest in classical Greek and Roman culture inspired artists such as Leonardo da Vinci, Michelangelo, and Durer, architects such as Brunelleschi and Alberti, writers such as Petrarch and Boccaccio. Scientists and explorers proliferated as well. 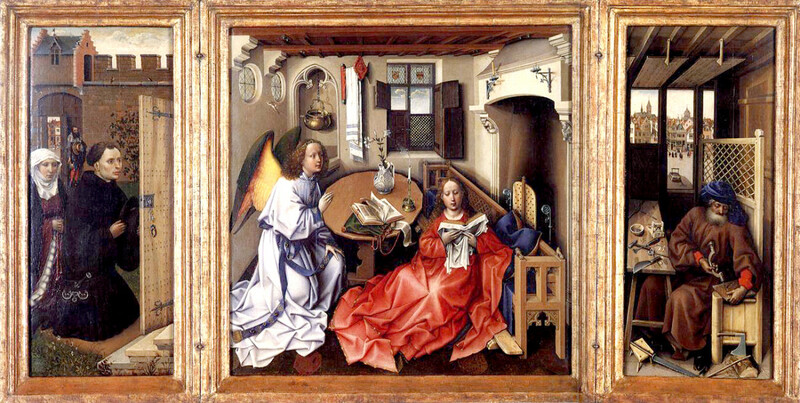 The beginning of the Italian Renaissance is usually dated in the 14th century with the writers Petrarch and Boccaccio. 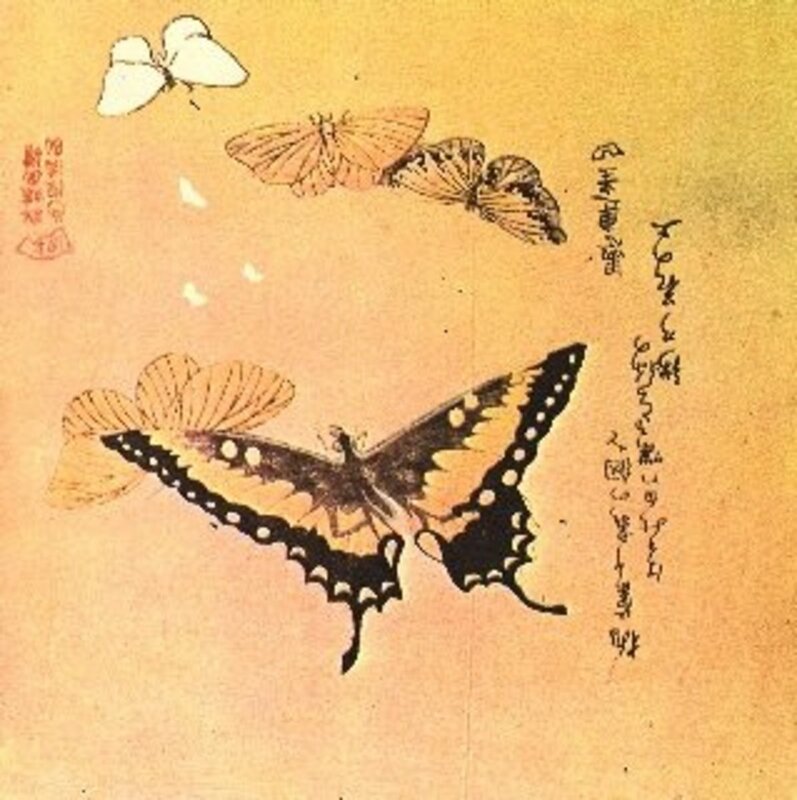 The invention of printing (mid-15th century) and geographical discoveries helped spread the new spirit. Exploration by Europeans opened Africa, Asia and the New World to trade, colonization, and imperialism. Biblical criticism by the Dutch humanist Erasmus and others contributed to the Reformation, but the Counter-Reformation almost extinguished the movement in 16th century Italy. Figures of the Renaissance include the politician Machiavelli, the poets Ariosto and Tasso, the philosopher Bruno, the physicist Galileo, and the artists Michelangelo, Cellini and Raphael in Italy, the writers Rabelais and Montaigne in France, Cervantes in Spain, and Camoens in Portugal; the astronomer Copernicus in Poland; and the politicians More and Bacon, and the writers Sidney, Marlowe and Shakespeare in England. Pears Cyclopaedia, Twenty-Ninth Edition, 1926. The New International Illustrated Encyclopaedia, Volume 5, 1954. 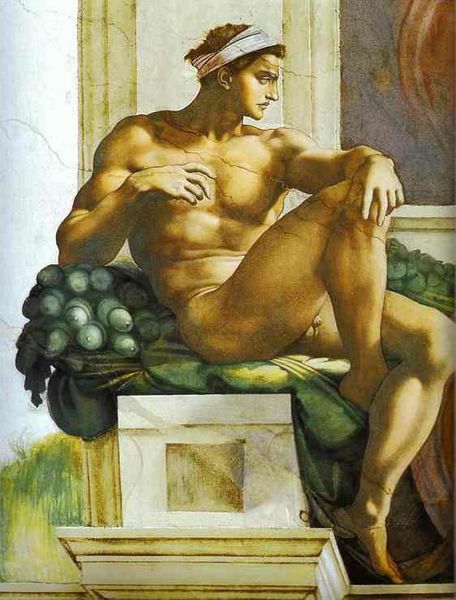 I have been meaning to write a bio of Michelangelo for a while, but kept putting it off. This is excellent. 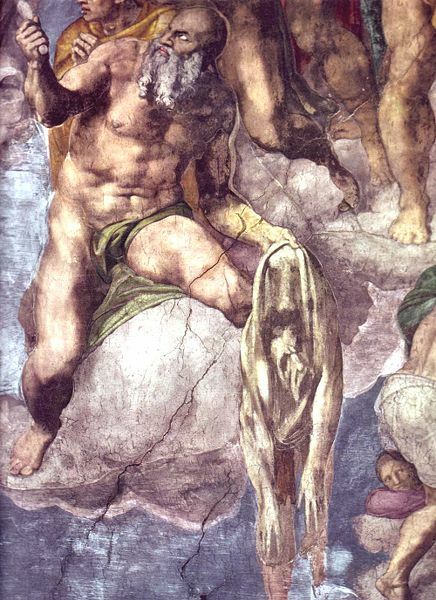 I like michelangelo, up there with Da vinci as my all time artistic visionaries of the past, their paintings were really excellent as the pigments they used was nothing like we use today and they still pulled off their brilliant paintings. Wonderful tribute to a great artist. Thank you. Thanks Prasadjain. I've collected a few images, and am looking for more. I'll be adding them as a slideshow. You have very well presented the contents. But could have added some more pictures. 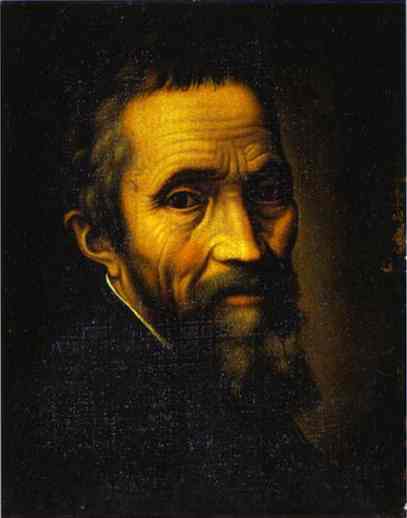 Indeed, Michelangelo is among the top ten geniouses of the world in the field of art and architecture.A very popular novel has appeared on him in Kannada( a south Indian language) 40 years ago on how he struggled to write the painings of boy Jesus and Judas.That novel so far has been reprinteed for more than 10 times!